The tooth chamber containing the nerve and pulp is referred to as the root canal. When infection occurs in the root canal, it is sometimes necessary to perform treatment to save the tooth. Dr. Pennington will begin treatment by painlessly anesthetizing the area around the damaged tooth. He will then gently and thoroughly clean out the inside of the root canal and fill it with a natural polymer. By saving a tooth with root canal therapy, normal chewing function is maintained and adjacent teeth are kept from shifting. Keeping a tooth intact also prevents bone loss. It is sometimes necessary to place a crown over a tooth following root canal therapy so that the tooth is protected. A crown is used when a tooth is heavily damaged, or to protect a tooth that may become dry and fragile over time without moisture provided by a root. After you have been gently and properly anesthetized, Dr. Pennington will gently remove the damaged nerve and pulp, thoroughly clean the inside of the root canal and fill it with a natural polymer. After root canal therapy has been completed, it may be necessary to place a crown over the tooth for protection. A crown is used when a tooth is heavily damaged, or to protect a tooth that will become dry and fragile over time without moisture provided by a root. 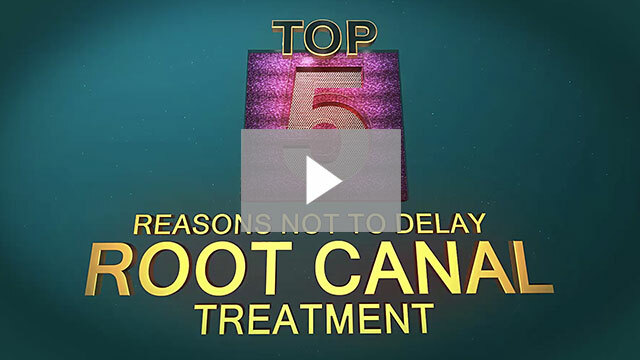 Root canal therapy is required when a tooth is infected or damaged (1-2). The top of the tooth is opened up to access the canals (3), pulp and nerve tissue are removed and the canals are cleaned (4), then the canals are sealed and the tooth is filled or covered with a crown. Some signs of needing canal therapy include a white pimple or abscess in the gum near the tooth redness and swelling around the gum line Other symptoms include tenderness and/or at the base of the root, pain when biting or in response to heat or cold, and spontaneous pain for no apparent reason. After root canal therapy, Jane is happy to have been shown ways to maintain her oral health at home. “My first visit with Dr. Pennington’s office was around the Christmas holidays. I felt it was an emergency, and they were able to take me right in. Everyone in the office is so friendly, professional and thorough. They want to be sure they have taken care of my dental needs.